The Thiepval Memorial to the Missing of the Somme is a famous landmark that now has a clear narrative so viewers can now absorb the immense history. 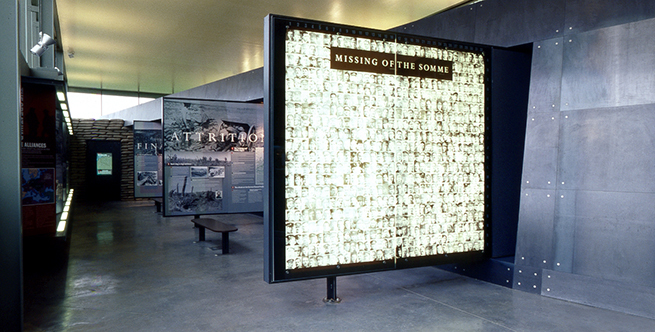 The Thiepval Memorial to the Missing of the Somme reached its 80th year in 2012 – such is the significance of this historic and world-famous landmark that a special exhibition has been curated to present the monument’s entire story. Painstakingly, the pieces of the story were put together with help from key individuals associated with the Visitor Centre project and our specific involvement comprised the design and installation of outdoor panels. Our work neatly follows on from our previous project where we were involved in the design of interior displays inside the Visitor Centre. 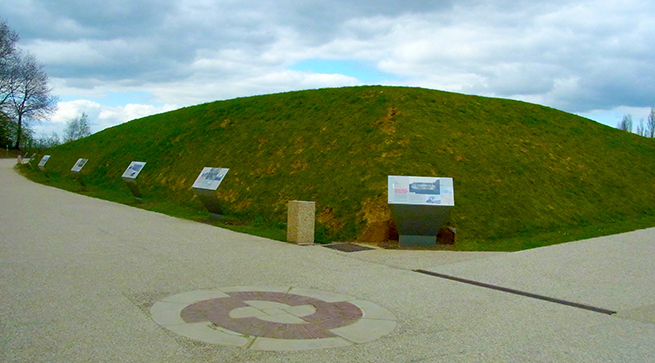 The London office of Minale Tattersfield was commissioned to conduct a prestigious design and build project for the Thiepval Visitor Centre in Northern France on behalf of the Conseil Générale de la Somme. Presenting the entire story of the world’s largest Franco-British Memorials and its celebrated architect, Sir Edwin Lutyens would require a meticulous level of attention in the handling of archival material, execution of 2D and 3D design, and close cooperation between the various stakeholders from both sides of the Channel. 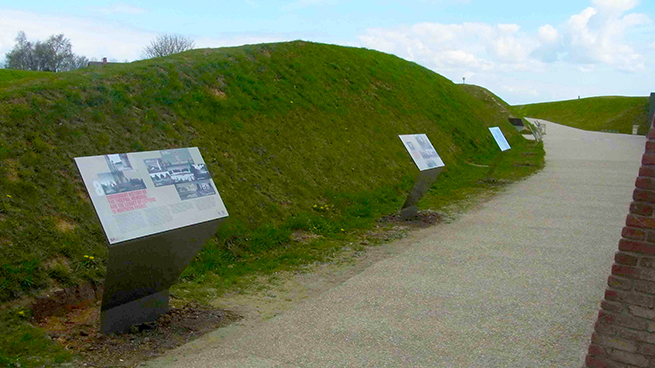 Minale Tattersfield led the design, production and on-site installation of eight all-weather information panel displays for an outdoor exhibition in the very landscape of the original battlefields. Working closely with the curator of the installation, Michael Barker on behalf of the Lutyens Trust and Principal Historian Nigel Steel of the Imperial War Museums, we brought Thiepval’s rich history to a wider audience, ensuring the information was fully accessible and visitor-centric. 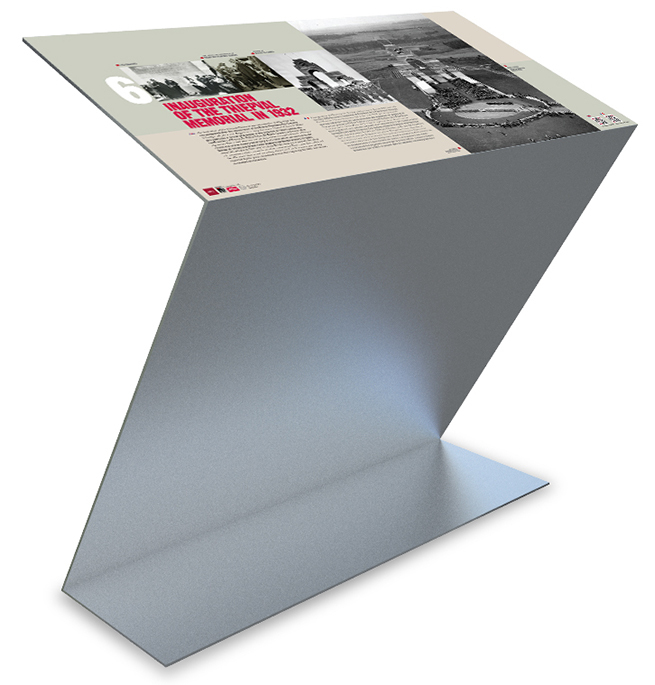 In regards to build design, we conceived the idea of having the supporting panel structures shaped as steel plates in a symbolic reference to WWI field artillery shields. We also seized upon the opportunity to incorporate QR codes on the panels allowing smartphone users opportunity to acquire a more detailed understanding of Thiepval’s history. Our panel designs have been warmly commended by each of the exhibition partners and their timely rollout ahead of the 80th anniversary ceremony contributes to the Visitor centre’s PR plans and visitor-growth objectives as Centre evolves into a leading battlefield tour destination and learning facility for educational visits.